Jimmie Flint, Agent X-11 battles a cartel with designs on takeover of the country! There are twelve authors represented here, including many of new pulp’s brightest stars. 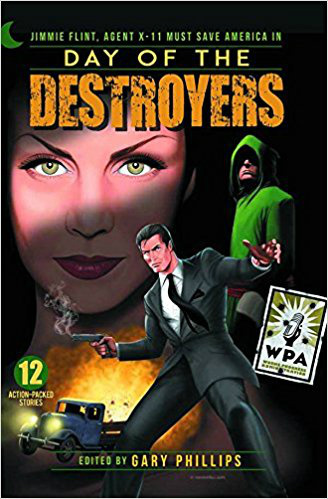 Names like Gary Phillips, Adam Garcia, Ron Fortier, Joe Gentile, and Tommy Hancock should be familiar to readers of new pulp. The stories vary in length and some are better than others. Still I don’t think any of them are less than four star stories, with a delicious spicing of pure pulp! I give the book as a whole four stars! Encore, gentlemen, encore!